It’s easy to see the appeal of a nice green lawn. It adds to the curb appeal of your home, for one. It also offers you a nice spot to relax with friends and family. That said, taking care of a real lawn after heavy rains or during a drought is difficult. You’ll spend a lot of time, effort and money doing lawn care and lawn repair. When you own an artificial lawn, you don’t have to worry about watering, reseeding, mowing, or fertilizing. That’s why so many people are turning to premier artificial turf distributors like Watersavers Turf for lawn replacement. Grass needs to be watered, mowed, and planted in bare spots. This can drive your bills up and take away from the time you would rather spend enjoying your lawn. But what if someone told you that you could have a perfect green yard with no effort whatsoever? Artificial turf makes that possible. It stays the same color all year long, no matter what type of weather you have. Artificial turf also does away with the need to water, weed, combat insects, and perform all sorts of other upkeep tasks. Looking for a way you can make your property gorgeous, but tired of the costs involved in maintaining a grass lawn? Synthetic grass is just what you need to solve your problem. Synthetic grass saves you a lot of upkeep and costs little install. 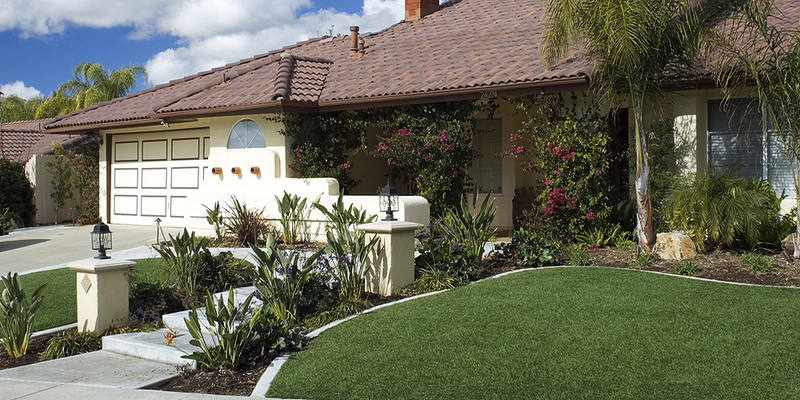 Of course, you’ll save money because synthetic grass doesn’t require you to have a sprinkler system. It also allows you to be sure that the result will look the way you want it to. That’s not even considering how much you will save on lawn care in the future. Across the globe, people are making the switch because it simply makes life easier. These days, we’re all trying to do our part to help the planet. In regions affected by a drought, people are urged to use less water as well. This makes it hard to maintain a yard. In these types of areas, fake grass is a wise choice. It is an eco-friendly option, and not merely because it saves water. It also doesn’t involve the use of chemicals sometimes used in landscaping work. Because it doesn’t need to be mowed, people can lower their carbon footprint by not using a gas mower as often. For those with certain goals for how their lawn should look and feel, fake grass is much better than trying to design a real grass yard. There are plenty of colors to choose from, along with options designed for specific uses. For example, there are products just for pets, as well as options for sports. To clean fake turf, most of the time, all you need is a blower. It’s great for high traffic areas as it can take a beating. It can be used in a mature landscape, like near an old shade tree where grass won’t grow. For those with pets, you can build a dog run or allow your dog to share the lawn with you. There is no need to worry about brown spots or bare patches, and dogs can’t dig through it. Pet waste is easy to clean since fake turf drains well. When it comes to choosing a fake turf product, there are over 60 options to select. We have an online catalogue where you can view all of our products. When you choose Watersavers, we offer next day delivery to all the San Francisco Bay Area. We also deliver anywhere in the Continental US. To get free 1’ X 1’ samples, or ask us questions, get in touch with us at 844-974-8873, or visit us online to get a free estimate for your project. If you stop by one of our SF Bay Area locations, we’ll be more than happy to discuss our options with you.